Click on each form to open and print at home. Arrive to your appointment 10-15 minutes early to turn in the forms. If you arrive late to an appointment, you may need to reschedule for another day. Dr. Tom Madl, Pediatric Dentist ~ Harrison,OH ~ Call 513-367-4048 to make an appointment. The American Academy of Pediatric Dentistry recommends a child be seen for a routine examination as soon as he/she has their first tooth, or around 1 year of age, whichever occurs first. This examination may reveal developmental problems or dental disease, which should be treated early. Also, there is much information of which parents should be aware in order to achieve and maintain the best oral health for their child. Information, such as proper diet, oral hygiene, and the use of fluoridated toothpaste will be discussed. 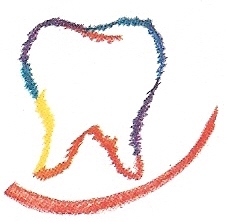 Through early exposure to the dental environment, your child will become accustomed to such visits. Children who are seen between the ages of 0 - 3 will most often be examined in the parent’s lap. As a child grows and becomes more comfortable with the office, the cleaning of their teeth, fluoride treatments, and x-rays will be initiated. It is normal for children to be afraid of anything new or strange. Most fear is fear of the unknown. We try to remove the unknown by proceeding at a reasonable pace for the child’s age, and explaining everything we do in terms the child can understand. Do not be upset if your child is anxious on the first appointment or perhaps even the second. This is a normal reaction for most children. The key again is early exposure to the dental environment. This allows for proactive dentistry, which will greatly reduce extensive dental work and cost to you.